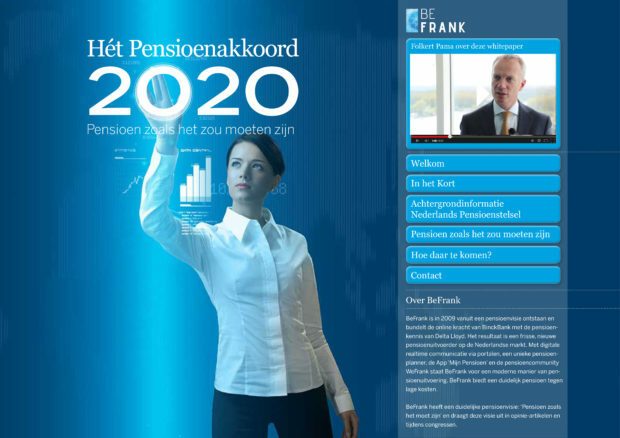 BeFrank is a pension provider that seeks digitisation to help further its services and relationships. In addition to an app and the WeFrank Pension Community, she uses multiple digital channels to bring pension information to her clients. 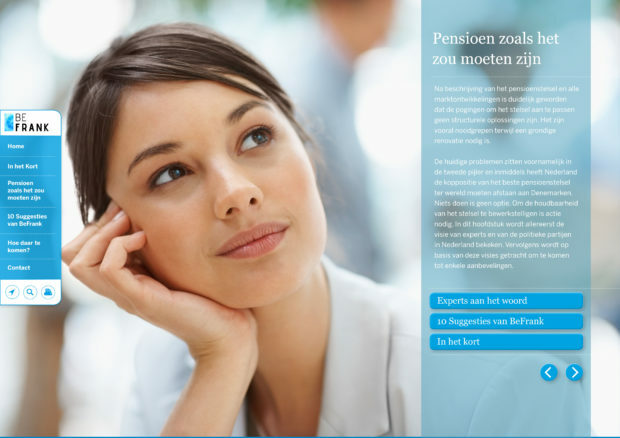 One of them is their interactive PDFs that are published as a white paper and provide an insight into what the pension landscape will look like. 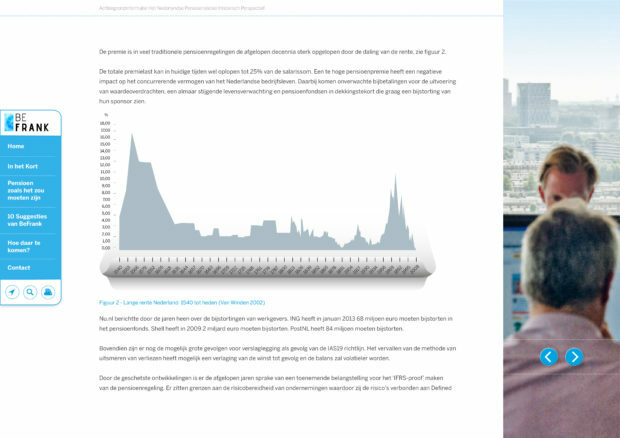 We have developed this interactive pdf that is sent to all its relations and that of Delta LLoyd.